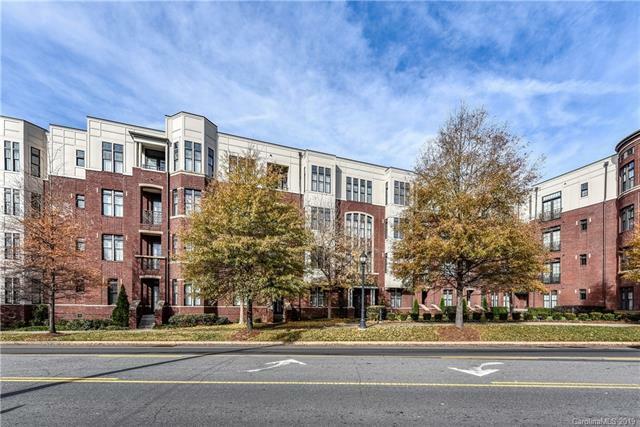 2810 Selwyn Avenue #328, Charlotte, NC 28209 (#3465923) :: Caulder Realty and Land Co. Sought-after 1 bedroom condo with high ceilings, large windows and open floor plan in the heart of Myers Park. Courtyard-facing unit offers quiet view of fountain and trees. Features granite countertops, breakfast bar, stainless appliances, hardwood floors in living areas, and large walk-in closet. Bathroom has granite countertops, frameless shower door and Moen plumbing fixtures. Gated, covered parking. Trash chute access on each level next to elevator. Amenities include fitness room and courtyard with seating areas, built-in grills and fireplace. Located next to shops and restaurants, including Reids, Selwyn Pub, littleSpoon, TCBY, Mellow Mushroom, Metro Fitness, The UPS Store, Clean Catch Fish Market, and more.